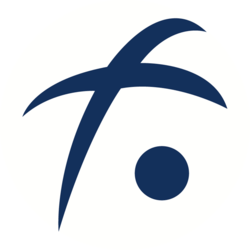 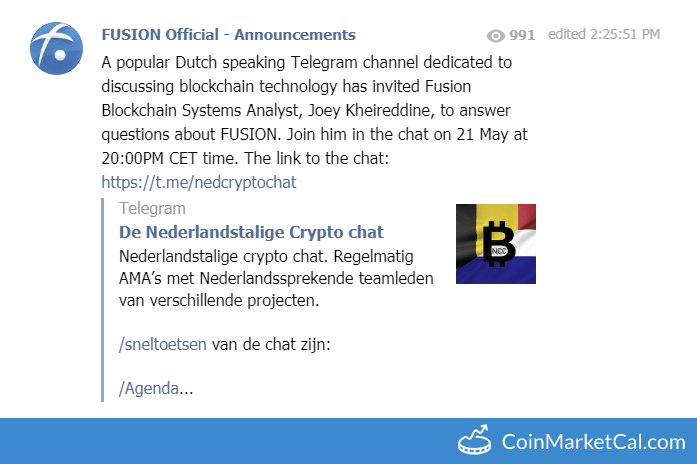 Fusion (FSN) - Events, Price, Market Cap, Supply, Exchanges and more! 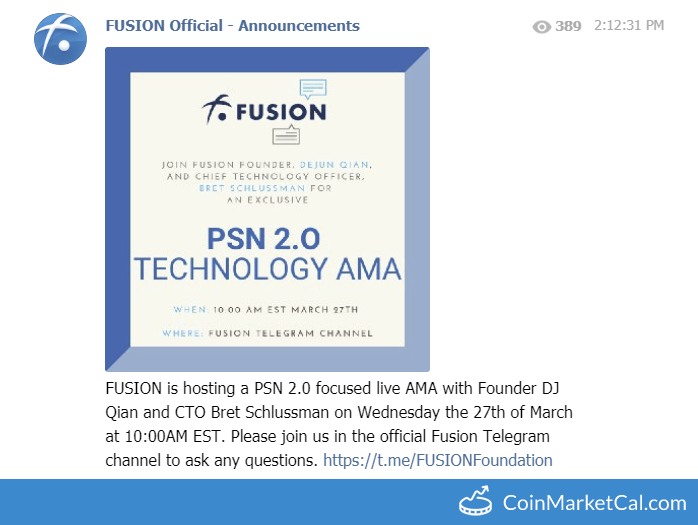 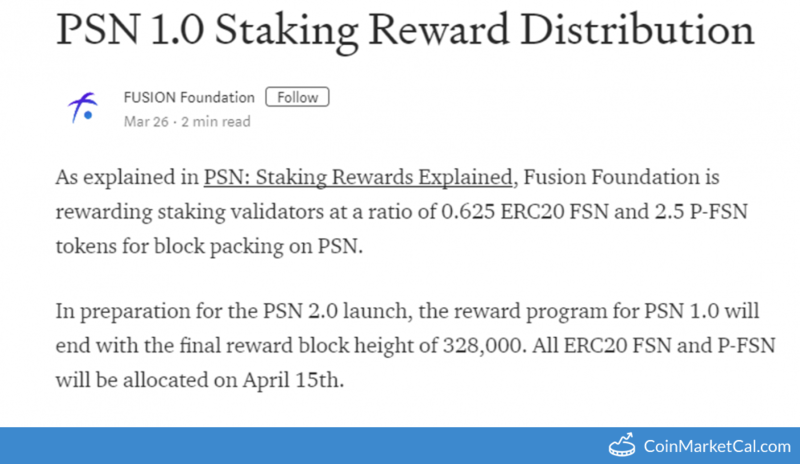 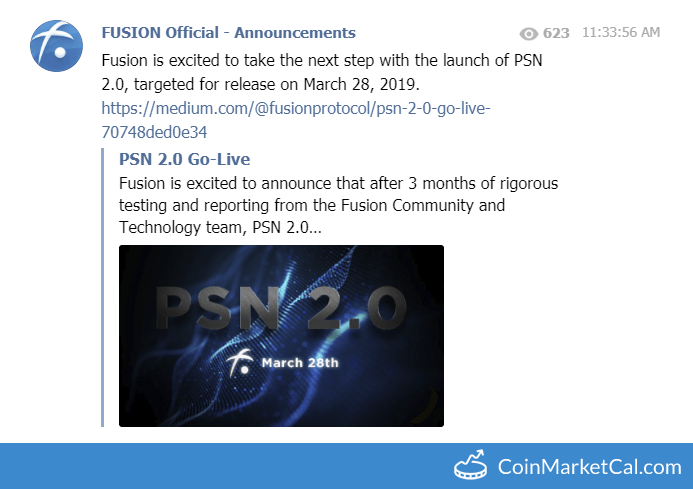 "FUSION is hosting a PSN 2.0 focused live AMA with Founder DJ Qian and CTO Bret Schlussman on Wednesday the 27th of March at 10:00AM EST." 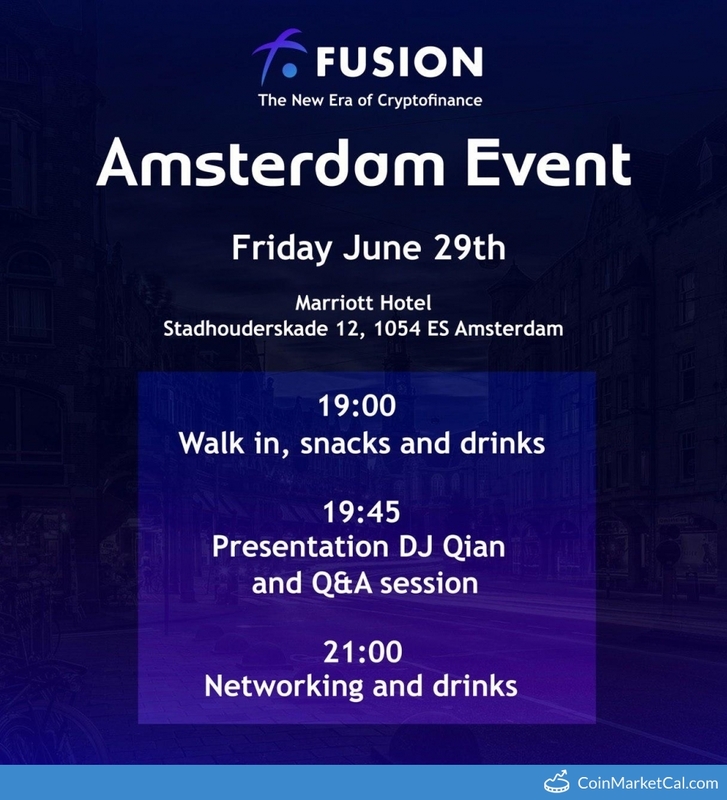 "Dear FUSIONites, we will be hosting a FUSION Community Meet-up in Amsterdam on June 29." 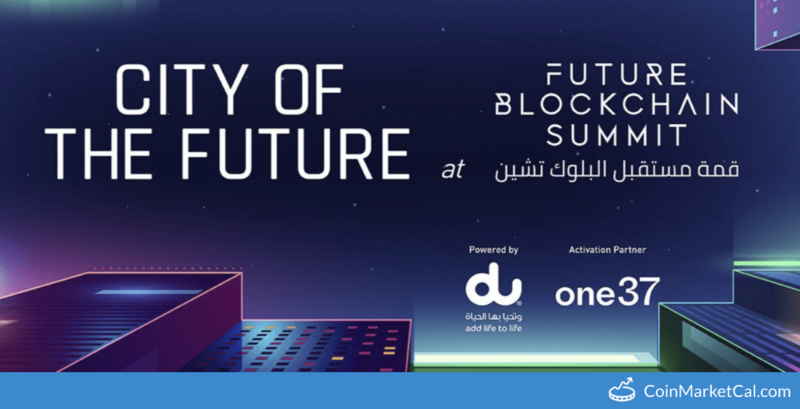 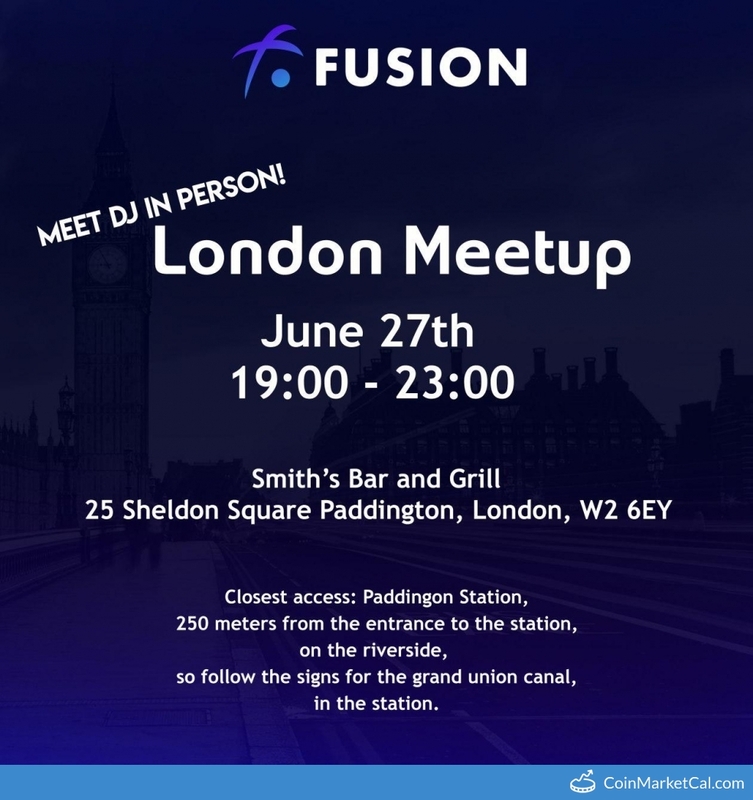 "All FUSIONites nearby will be more than welcome to join us for networking, drinks, and meeting with DJ after the London Blockchain Summit."